Fund raiser for Amnesty International Aust. 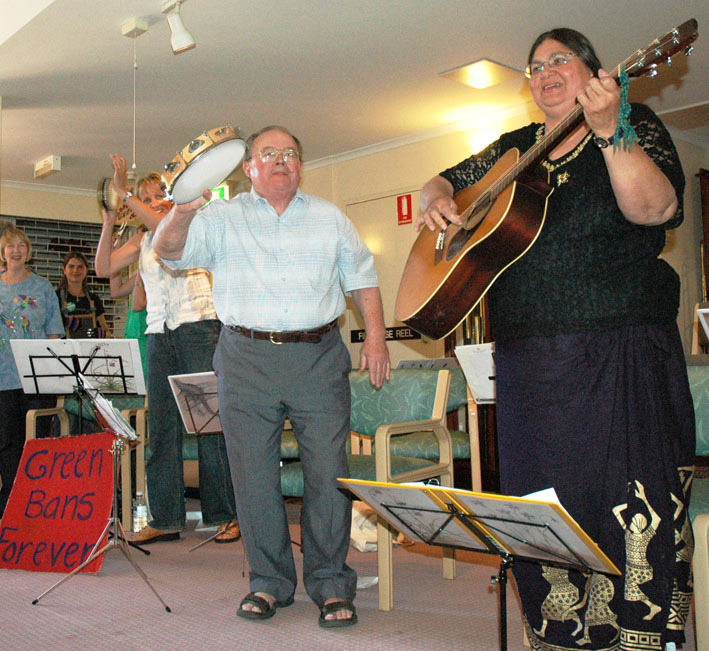 The local music group “LOOSELY WOVEN” led by Wayne Richmond, will be giving a free community concert in Avalon Baptist Church (2 George St.) on Sunday 4h August at 4 pm. Also performing in this concert for the first time for a while is Ian Hamilton who will be singing two of his own songs – one his setting of Henry Lawson’s poem ‘Ned Kelly’s Smiling Eyes’ which refers to the painting made of Ned shortly before his execution. The other, ‘Amy’s Song’, he wrote for his granddaughter. The concert is free and so is the supper but donations will go to help the work of Amnesty International in its efforts to help people around the world suffering human rights abuse. Avalon Amnesty International group is at present working on several campaigns – for Refugees; for Indigenous people; equal rights for Afghan women; . There will be information about campaigns and petitions to sign at the concert. (Sec. Avalon Group Amnesty International Aust.